It may have its naysayers, but there’s no doubt bitcoin has captured the imaginations of thousands of investors. But making bitcoin legitimate is still a challenge, which is why we read with interest that German blockchain banking service Bitwala will be launching what it claims will be the first ever bank account to concurrently hold euros and bitcoin funds. The funds will be instantly accessible via the Bitwala debit card and, according to the company’s website, deposits up to €100,000 will be protected by the deposit guarantee scheme of German banks. Bridging the legacy banking world and crypto space is necessary for the popular digital assets to gain respect as a viable currency. Static bitcoin holders who aren’t day traders are potential gold mines (I really feel like we need a new analogy here!) for transaction fee revenue, something Bitwala is no doubt attuned to. But there are other ‘deposit’ opportunities for bitcoin ‘hodlers’, especially if they don’t feel super inclined to start spending their crypto on coffees. 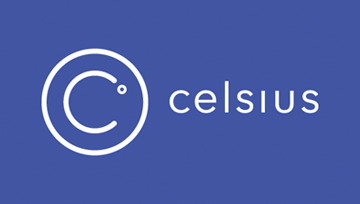 Celsius provides passive income of up to 5% interest while you HODL and allows customer to access fiat loans of 9%, while your crypto ‘chills’ in your wallet. You can even short the crypto market from within the app. Bitwala and Celsius are interesting examples of hybrid models coming to market in the crypto space. It bridges that awkward gap for the normal people, those of us that would much prefer to find a practical application for crypto. In many ways, these hybrids remind me of the contactless cards that the western world adopted after mobile wallets stalled. Just like mobile wallets, which were used by super early adopters but basically no one else, very few people any of us know in the real world, outside of fintech actually use bitcoin day to day. But that is where the market opportunity is. Hybrids like Bitwala and Celsius are the models to watch.